There are four color ranges. Dark, medium-dark, medium-light, light. The color nuances vary from dark red to brown and beige but can variate in texture. 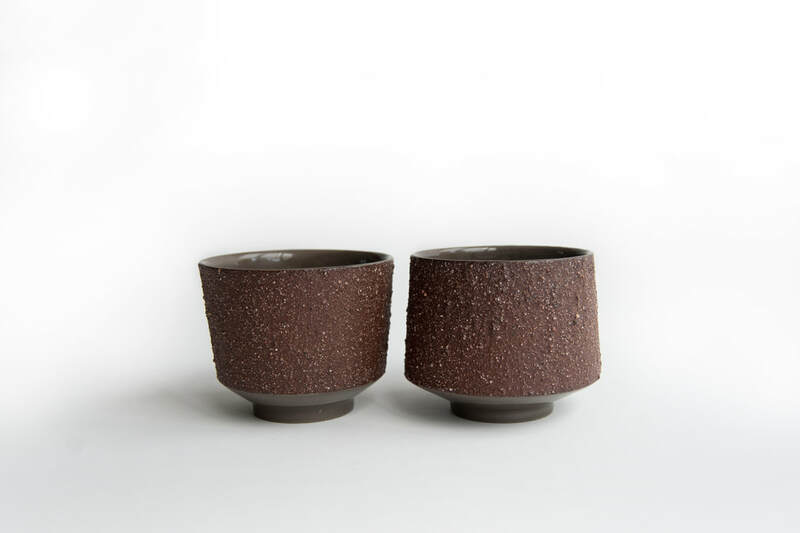 The cups are made from brown/atreciet stoneware and are glazed on the inside. The cups are available separately.